Simply one of the best players in NBA history, LeBron James has won three NBA championships, accompanied with three NBA Finals MVP awards. A four-time NBA MVP award winner as well, James has become one of the most decorated players in the game today. 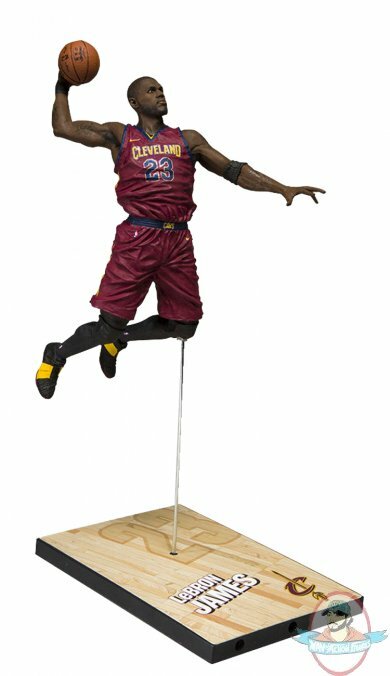 Figure stands 7 inches tall and is featured in the Cleveland’s all-new 2017-2018 road uniform.